A modern and tranquil apartment which is perfectly located within strolling distance of all of the best bits of Auckland City. With high stud ceilings and modern furnishings, it is spacious and quiet and the perfect home away from home! 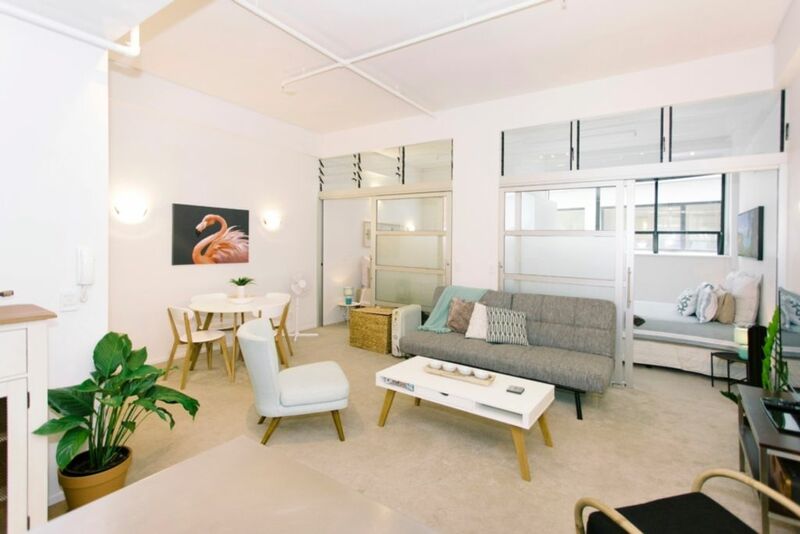 Well located for access to Britomart, the waterfront, the University, Spark Arena and of course the many bars, restaurants, shops and cafes that Auckland has to offer. Clean, well-equipped, great location and communication with Emily. Great location to explore CBD, close to amenities and cafe next door. It’s a very well equipped and thoughtfully laid-out apartment with very comfortable beds. The housekeeper gave us great sightseeing tips too! Thank you for staying with us, we are very happy you enjoyed our place. We would be happy to host you again if you come back to visit. Enjoyed the stay. Would stay again. Even had a gift box. Hello David, Thank you for staying with us and for your great feedback. We are happy you enjoyed the apartment and the little gifts - we would be delighted to host you again next time you visit. Thanks again. Kind regards, Emilie. Great, convenient location. Everyone who stayed was happy and satisfied. Would recommend. Thanks! Fantastic apartment, perfect location, nice and close to everything. Fantastic apartment, perfect location, nice and close to everything. Really welcoming, apartment has everything you need. Will be back!! Beautiful apartment, very quirky! great location, and had everything we needed!